Q: How long does a makeup application take? A: Each appointment will be a different length because the appointment will be catered to the client itself. Contact me for additional questions about the length of your appointment. Most appointments generally last from 1-2 hours. Q: How long will the makeup last? A: At Roxy Ram Beauty, I use products specific to your skin type. The makeup will generally last a minimum of 4-6 hours before needing touch ups. It certainly depends on how the makeup reacts with your skin as everyone's skin type is different. If you need to keep your makeup on for a longer period of time, please do let me know and we will take every step to ensure it lasts. Q: How can I book your services? Q: Do you provide mobile services? Q: Do you service men makeup application? Q: Are fake lashes included? A: Yes, a standard pair of false lashes are included with each appointment. If you would like to stack your lashes, each extra lash strip starts at an additional $5. Please contact me if you would like to bring your own. Q: Do you style hair extensions? Q: How should I prep my hair for my hair appointment? 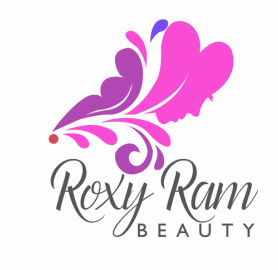 A: Once you have booked an appointment with Roxy Ram Beauty, additional information will be sent to you in order to prepare for your appointment. Here is a general idea of how to prepare your hair for your appointment. Blowout: Wash hair with shampoo only. No conditioner. You can arrive to my studio with damp hair or when I arrive to your location, please have freshly washed hair. Up-do: Please wash hair a minimum of 24 hours before your hair appointment. Down Styling: Please wash hair a minimum of 24 hours before your hair appointment. Men's Hair Styling: Please wash hair a minimum of 24 hours before your hair appointment. Q; What are lash extensions and how is it done? A: Lash extensions are single artificial lashes are applied seamlessly to each of your natural lashes using a medical grade waterproof adhesive. Q: How long does lash extensions last? A: Lash extensions can last anywhere from 30-70 days. They tend to shed slowly after 1 week and will decrease the wear time. To maintain the fullness of your lashes, we recommend getting a fill every 2-4 weeks depending on how much your lashes have shed to keep the fullness. Q: What kind of lashes do you use? A: I use premium synthetic mink lashes. They are soft to the touch, luxurious and weightless. They create the most natural looking lashes. Q: Will the lash extensions cause damage to my natural lashes? A: NO. Lash Extensions will not cause any damage or loss of your natural lashes. However, please avoid rubbing your eyes or pulling on your lashes. If you experience any irritation, please contact us as soon as possible. The lashes will need to be removed professionally to avoid any damages. Q: How do I prepare for my lash appointment? A: To prepare for your lash appointment, please have a shower and remove all makeup. Come to your appointment with no makeup or skin care products. The reason I recommend that you shower before is because you won't be able to shower 24hrs after your appointment. Do not drink coffee as it makes your eyes jumpy and it is very difficult to adhere the extensions when your eyes are jumpy. The first 24hrs, do not get your eyes/lashes wet! To wash your face, please use a face cloth and gently go around your eye area to avoid water contact to you lashes. Avoid using any oil based products around or on your lashes/eyes. To prolong the length of your lashes, avoid applying mascara. If you have to after the 48hr, please use mascara that is free of oil and not waterproof. DO NOT try removing the lash extensions yourself, please contact me and I will remove them free of charge. If you do attempt to remove your lash extensions yourself, you may not have any real lashes left. Q: I had my lash extensions done at another lash technician and I need a fill. Do you fill other lash technicians work? A: No, The reason is because, in order to have your lashes looking the best it is best to continue your fill with the original lash technician or get a new set. I do not fill other technicians work because we will be using different glues and different brands which means that the lash application will not be consistent and my products that I am using may have a reaction if combined with the products another technician used. For the safety of your eyes, I do not work on other technicians work. I will remove them and do a new set. A: A session can last anywhere from 2hr to 3hrs. It all depends on the type of lash extensions you want! Q: How much does lash extensions cost? Q: Can my lash extensions be removed? A: Yes! Lash extensions are a semi-permanent procedure. Please contact me if you change your mind and the lashes will be removed, free of charge! Please do not try to remove them yourself. This can cause you to remove all of your natural lashes with the fake ones as well. They need to be removed professionally. Q: Are eyelash extensions suitable for anyone? If you are looking for a change to your daily routine and want to get out the door quicker, lash extensions are your new friend! You have super short lashes and even with mascara they are barely visible. Lash extensions can change your entire appearance! It can make you look a few years younger and "flirty!" Individuals 15-18 need to come with a parent or guardian. Note: Lash extension applications take anywhere from 2-3 hours depending on the style of lash application you want done. If you cannot lay in place for a long period of time with your eyes closed the entire time, lash extensions are not for you. Also if you are on any kind of medication (contact for more information) or have just undergone surgery, Lash extensions are not for you. Q: How can I book you to do my lash extensions?